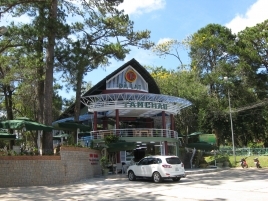 By far,Â Tam Chau has become a brand of Vietnamese people love the taste of tea.Â Tam Chau Restaurant was born with a completely different model, one is chosen for the party, is the ideal destination for tourists to this beautiful city mist. Nam Phan restaurant is the most recent Khai family endeavour and another jewel in their culinary crown.Â Nam Phan restaurant is a restaurant that is dedicated to providing quality Authentic Vietnamese Cuisine and the ability to experience and absorb Vietnamese culture in tranquil. Therestaurant Nam Phan is large and spacious, yet wonderfully intimate, due to the choice to maintain the structural integrity of the old style villa upstairs. 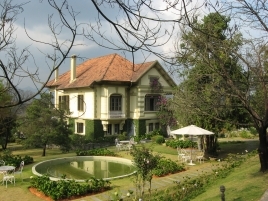 Â Xuan Huong lake, characteristics of Dalat.Â Anyone who arrived in Da Lat will want to admire the beauty of the sparkling romantic Xuan Huong Lake, the lake is adorned by unique architecture makes it picture perfect Thanh Thuy Restaurant, locatedÂ Xuan Huong lake shores, brought to the space where the airy, cool climate of the highlands. Phù Đổng Restaurant in Dalat belongs to Phù Đổng Restaurant system in Vietnam (Hanoi capital has three restaurants located on Thái Hà Street, Tăng Bạt hổ Street and Tô Hiến Thành Street. 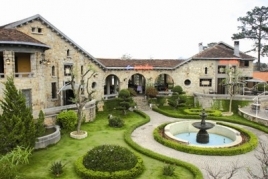 One restaurant is in Quảng Ninh province). 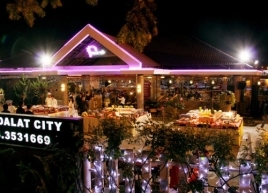 Recently, Phù Đổng has been considered a charming restaurant attracting a lot of domestic guests and travelers. 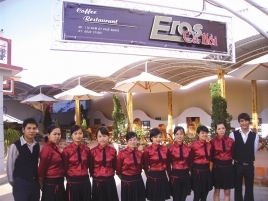 Eros Restaurant, Da Lat (Add: 11A Nam Ky Khoi Nghia Str.) designed in modern, luxurious, and friendly style will warm up the heart of each diner amid the chilly and foggy evening of the town.